I’ll be the first to admit it: when it comes to salad dressings, I either buy a clean version or we skip it altogether. But the truth of the matter, is that homemade dressings are not only super easy to make, but they’re incredibly tasty, too! 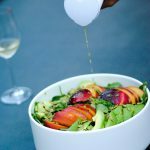 This peach and avocado salad incorporates a simple dressing that comes together in minutes really makes the whole combination pop. The secret to a successful salad, in my opinion, is some greens (obvs.! ), a fruit, a vegetable (or more than one) and some type of crunch – be it nuts, seeds, croutons, dried fruit, etc. Add in a nice, tasty dressing, and you have a winner! 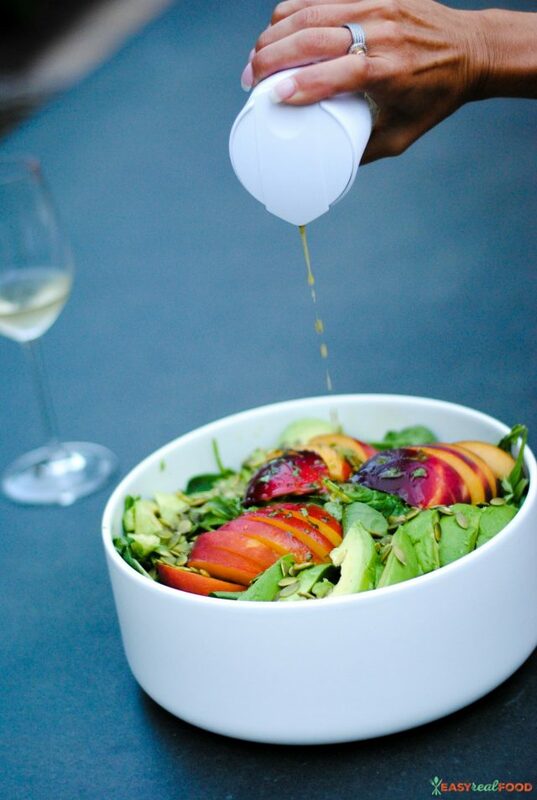 I paired the peach and avocado together because the peach is a sweet stonefruit that adds a beautiful hue, and is generally liked by most. Avocados provide healthy fats and a creamy texture that blends into the salad nicely; just be sure to add them in right before serving to avoid them turning brown. Pumpkin seeds are a personal fave, so they went in next. Sure, you can sub them if you’d like; other alternatives I’d suggest would be walnuts or pecans. Make sure that you have some good quality olive oil. There are lots of articles that talk about the lack of quality/oils that go rancid before you get them home. I used this dressing shaker bottle from WhiskWare. I love how the BlenderBall helps everything get mixed nicely! Don’t dress it until right before you are ready to enjoy. We used cilantro. If you are not a cilantro fan, you can probably skip it (but honestly, I love it). 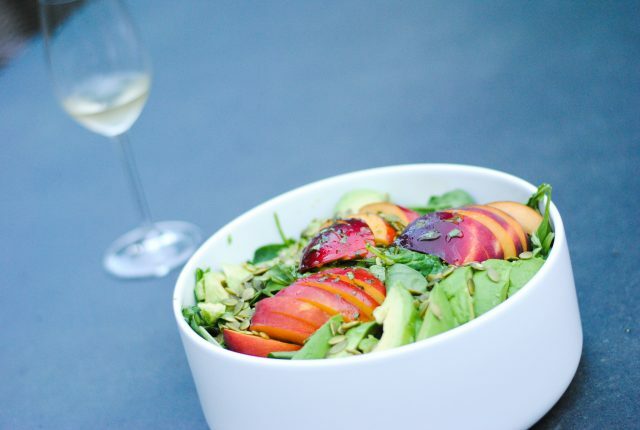 This peach and avocado salad is a delicious, eye-appealing salad that includes a simple homemade dressing recipe as well. Make dressing by mixing all of the dressing ingredients together in the shaker bottle (see notes for my preference). Shake to combine. Add salad ingredients to a medium bowl. Dress and toss right before serving. 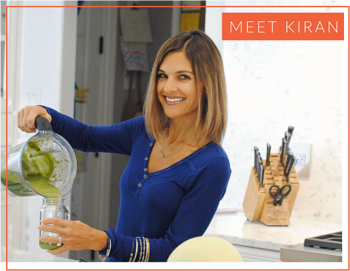 I’d love to hear in the comments below about a favorite salad combination of yours!